When folks ask you what you think of decking yourself out in a gorgeous green, there are going to be a couple places that you more than likely immediately leap towards. The little green men of alien lore and the very huge hulk of comic capers sound familiar? Now, that isn't wrong. Those are great places to go to hunt down your hunter heroes. But, not all aliens are green and even hulks see red from time to time. There are plenty of other emerald options for your jade jaunts that will give you a unique look that will leave others yellow with envy... because you're the one rolling in the green today! Become a fantastic frog, a marvelous monster! 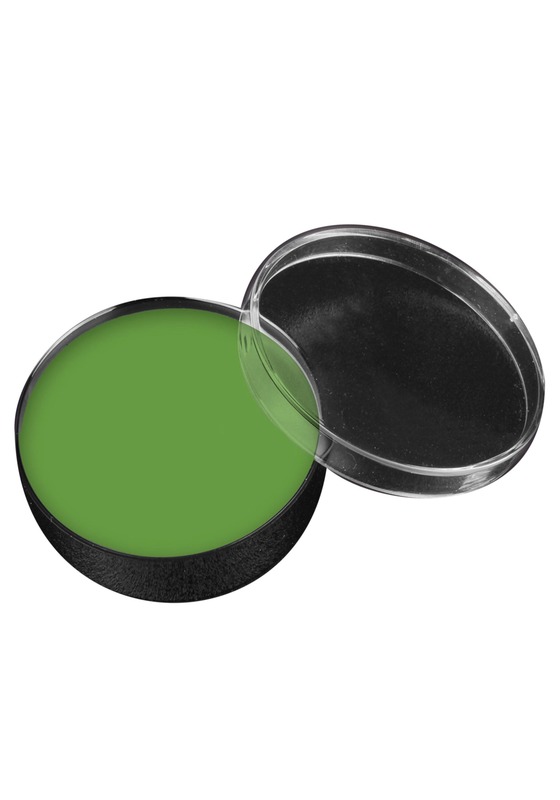 Add some putrid rot to your zombie, a little slime to your sarlacc, or even go little green man with this Premium Green Greasepaint! This great makeup is sure to stick with you all day and with .5 ounces of it, you'll be able to try out all your creature features! When you're going for an authentic look for any number of your favorite green-skinned characters and creatures, you want that look to go far! Well, a little of this Green Make up goes a long way and you'll finally be able to answer just how green you can get!